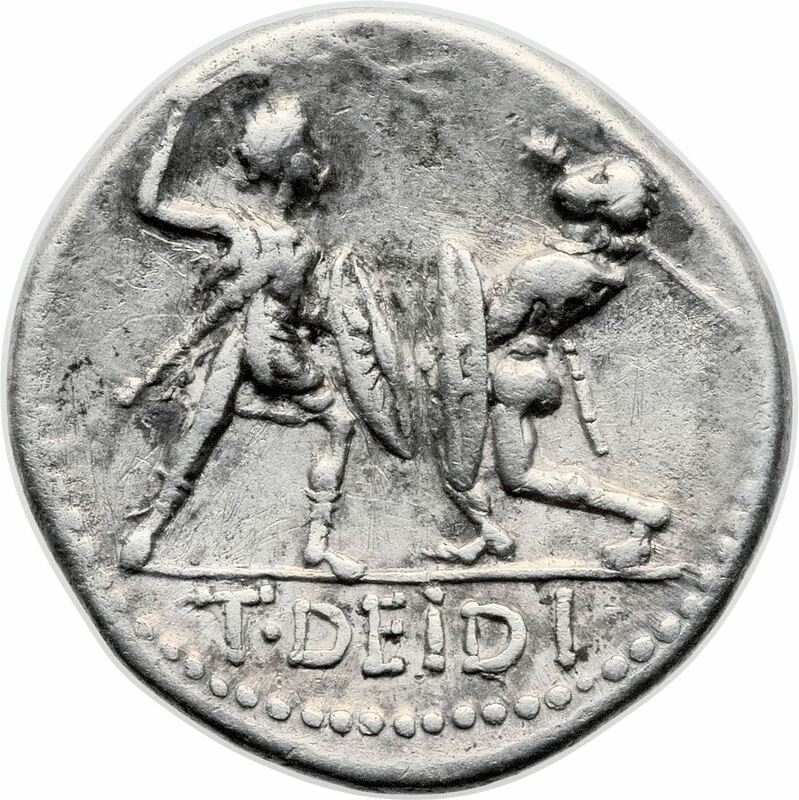 Titus Didius was a general and politician of the Roman Republic, who served as a moneyer in 113-112 BC. He was Consul in 98 BC. After his term as consul, Didius was assigned to govern the province of Hispania Citerior, where he served from 97 BC to 93 BC. Nearly his entire proconsular term in Spain was spent at war with the Celtiberi. In the four years Didius governed Spain he achieved multiple victories and is said to have slain 20,000 Arevaci, quelled the rebellious city of Termes, and besieged Colenda for nine months, after which time the city fell and the women and children were sold into slavery. After concluding his service in Spain, Didius served as a legate in the Social War, under Lucius Julius Caesar in 90 BC, then Lucius Porcius Cato and Sulla in 89 BC. Shortly following a successful capture of Herculaneum, he died in battle June 11, 89 BC.